Healthy fish habitat provides the essential foundation for fish populations and their dependent fisheries. Habitat loss and degradation have been identified as significant factors affecting the long-term sustainability of the nation's fisheries. The challenge for fisheries managers, and the Commission as a whole, is in maintaining vital fish habitat absent specific regulatory authority for habitat conservation, restoration or protection. These challenges require a creative approach, building on the Commission's strengths in problem-solving, interjurisdictional cooperation, and incorporation of the newest and best scientific methods into the fisheries management process. The Habitat Management Series provides an overview of important habitat topics for Commission-managed fish species, guides the reader to consider various aspects of the issue, and provides additional sources of information. This webpage highlights some of the long-standing and emerging topics currently being addressed by the Commission’s Habitat Committee. In 2018, the Commission approved an update to the 2010 Living Shorelines: Impacts of Erosion Control Strategies on Coastal Habitats (Thomas-Blate 2010) Habitat Management Series document that highlights the growing body of literature and lessons learned since the original publication. It features selected case studies, websites, and references in support of the application of best practices moving forward. Living shorelines (LSLs) are adopted with increasing frequency to address coastal shoreline erosion issues along both public and private shoreline properties. They are mostly used along bays, sounds, and in other estuarine settings, as beach and inlet systems experience energy levels higher than those for which natural materials can successfully be employed. LSLs integrate habitats across the shoreline landscape by promoting the land-water continuum, provide enhanced habitat for fish and wildlife, naturally adapt to changing sea levels in the face of climate change, and enhance the natural beauty of their adjacent properties. As sea level rise continues, armoring shorelines against wave energy and erosion will continue to be important to those living along coastal waters. Using LSLs to accomplish this will ensure connections remain established between the uplands and estuaries to maintain or even improve the health of the important fish habitats they sustain. The following link provides information on several case studies and resources that demonstrate living shoreline techniques and applications -- Case Studies & Resources. In March 2017, the Commission released the 14th report in its Habitat Management Series entitled, Atlantic Sciaenid Habitats: A Review of Utilization, Threats and Recommendations for Conservation, Management and Research. Prepared by Commission staff, sciaenid experts, and a subset of the Habitat Committee, the report is the most comprehensive compilation of habitat information to-date on Commission-managed and other common sciaenid species found throughout the Western Atlantic. These species include Atlantic croaker, black drum, red drum, spot, spotted seatrout, weakfish, northern kingfish, southern kingfish and Gulf kingfish, the first six of which are Commission-managed. The report provides a habitat description for all stages of each species’ life cycle, their associated essential fish habitats and habitat areas of particular concern (when applicable), threats to and uncertainties about their habitats, and recommendations for habitat management and research. It was developed to serve as a resource for fisheries managers to use when amending existing fishery management plans (FMPs). Sciaenids are found throughout the Western Atlantic Ocean from Maine to Mexico, in shallow coastal waters and larger bays and estuaries, including their tributaries. They utilize a variety of habitats throughout their life stages, including estuaries, salt marshes, freshwater marshes, oyster reefs, sea grasses and mud banks/shores. Because sciaenids use a variety of habitats throughout their lives, managing multiple habitats is key for maintaining healthy populations. Estuarine habitats are particularly important to many sciaenids at every life stage. In the Mid-Atlantic Bight, as many as 14 species can be present in estuaries as larvae, juveniles, or adults over the course of a year. Weakfish, for example, use estuaries as primary spawning habitat, while Atlantic croaker and spot use them as nurseries and seasonal adult foraging grounds. Young sciaenids play important roles as both predators and prey in these habitats. Temperature, salinity, and dissolved oxygen vary considerably in estuarine environments and these factors are known to affect sciaenid growth rates, spawning, and spatial and temporal distribution. As a group, sciaenids are habitat generalists rather than specialists and may therefore be relatively resilient to changes in environmental factors. However, Atlantic coast estuaries have been profoundly altered over the years. Despite their ability to take advantage of a range of habitats, sciaenids are not immune to habitat degradation or suboptimal conditions, especially in the face of climate change. Increasingly dense human populations along our coastlines threaten the health of estuaries and coastal waters, including sciaenid habitats. Widespread development, beach renourishment, dredging, overfishing, coastal armoring, pollution, and other human impacts have significantly altered the physical and chemical environments of estuarine and marine waters. Changes in hydrologic processes and runoff characteristics can increase turbidity and sedimentation and decrease light transmittance, which may lead to the loss of submerged aquatic vegetation. Human-caused alterations to the estuarine environment have been linked to changes in hydrography and salinity regimes, as well as food web modification, which can eventually reduce the habitat quality for sciaenids and other estuarine-dependent fish. The Commission would like to thank the following individuals for their contributions to the report: Jay Odell, Brian Boutin and Kate Wilke, The Nature Conservancy; Doug Adams and Kent Smith, Florida Fish and Wildlife Conservation Commission; Chip Collier, South Atlantic Fishery Management Council; Alison Deary, University of Southern Mississippi; Jimmy Johnson, North Carolina Department of Environmental Quality; Steve Midway, Louisiana State University; January Murray, Georgia Department of Natural Resources; and Lisa Havel and Melissa Yuen, Atlantic States Marine Fisheries Commission. The entire report is available below and species-specific chapters are also available on the respective species pages of this website (on the left navigation bar under Quick Links). A constraint on a species’ ability to survive, reproduce, or recruit to the next life stage that results from reductions in available habitat extent and/or capacity and reduces the effectiveness of traditional fisheries management options to control mortality and spawning stock biomass. Such constraints can come in the form of either environmental and/or structural bottlenecks. Structural bottlenecks in the form of dams that block access to historical spawning habitat are obvious problems that can seriously affect highly migratory anadromous species such as Atlantic sturgeon. Management efforts to alleviate some of the problems associated with these barriers can include fish passage measures. Environmental bottlenecks, on the other hand, such as temperature changes affecting habitat usage of critical life stages are much more problematic. Scientific evidence now indicates that the American lobster is one species being impacted by thermal stresses through direct mortality in some areas and reduction of suitable thermal habitats for certain life stages in other areas. Laboratory studies have demonstrated that lobsters show a distinct and abrupt response to water temperatures above 200oC which field studies have shown can double observed mortality rates, making temperature a true bottleneck for this species. Ventless trap surveys and surface drogue studies carried out in offshore waters showed displacement of egg-bearing females out of traditional near-shore breeding grounds, which have recently warmed, into deeper water resulting in newly hatched planktonic larvae being carried on currents out to open ocean waters where their survival rate is diminished. For more information on this issue, please see the latest installment of the Commission's Habitat Management Series on Habitat Bottlenecks and Fisheries Management, developed by the Habitat Committee as a means of focusing both research and management on those areas likely to yield the greatest returns. 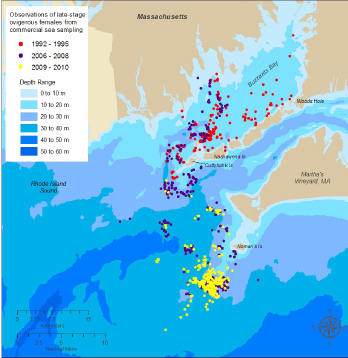 In February 2013, the Commission released the latest installment of its Habitat Management Series, Harbor Deepening: Potential Habitat and Natural Resource Issues. 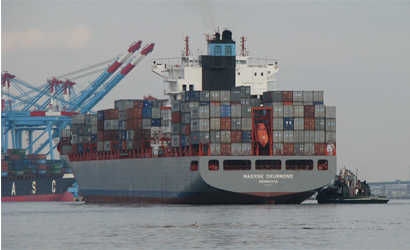 The document was developed by the Commission’s Habitat Committee in response to the growing number of Atlantic ports involved in or considering a harbor deepening project to accommodate deep draft vessels such as the Post-Panamax class vessels. large-scale modifications of existing and historical fish habitat. In most cases, they also represent a progression in a series of incremental improvements to navigation infrastructure that has occurred in tandem with other alterations to coastal, estuarine, and tidal riverine bathymetric features. While the issues associated with harbor deepening projects can be geographically specific, the Harbor Deepening Report describes a number of alterations associated with these projects that should be considered when evaluating the potential effects on habitats and associated biological resources. These can include changes in the water quality and physical characteristics of the harbor and associated drainage systems, as well as both direct and indirect effects on critical biological resources. Mitigation measures for these projects will vary greatly with the geography of the port and maybe triggered by adaptive management measures. The report provides sources of information and documents related to ongoing or planned deepening projects. The report will continue to be updated as new sources of information become available. 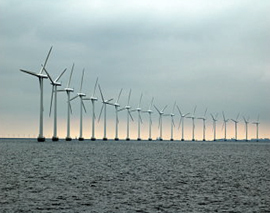 In August 2012, the Commission released the report, Offshore Wind in My Backyard? in the ASMFC Habitat Management Series. Following is an excerpt from that report. 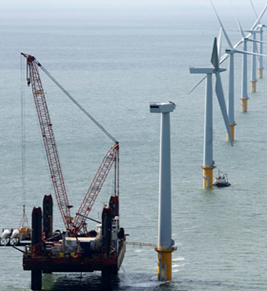 In 2011, the Department of Energy and the Department of the Interior’s Bureau of Ocean Energy Management (BOEM) released National Offshore Wind Strategy: Creating an Offshore Wind Industry in the United States. This strategic plan set a goal to deploy 10 gigawatts of offshore wind power capacity by 2020 and 54 gigawatts by 2030. This would generate enough electricity to power 2.8 million American homes by 2020 and 15.2 million homes by 2030. Offshore wind is a prevalent energy source in Europe, but no commercial wind facility has yet been built in U.S. waters. habitats, coastal and wetland resources (including sensitive upland habitats), invertebrates and finfish, protected marine species, and birds. The seafloor bottom type (rock or sediment) and bathymetry are critical in determining how the wind power facility will be constructed and the transmission cables laid. Foundation placement should not be within 1,000 feet of hard bottom or other sensitive benthic habitat such as shellfish beds and corals. This reduces the likelihood of altered currents or sediment deposition patterns. Survey tracks and data processing should be done in a manner to achieve a verified minimum mapping unit of 0.01 acres or smaller. Facilities within nearshore waters may require smaller minimum mapping units to adequately characterize seagrass, oyster reefs, coral patch reefs, and similar habitats. Increased sedimentation and turbidity resulting from trenching and dredging for cable installation suffocates benthic communities. Increased noise from pile driving alters species migrations and behaviors. Turbine foundations and pilings alter water flow and function as artificial reefs. Ecologically, benthic species abundance and diversity are reduced, reef communities are established where they did not exist, and food webs are significantly altered. Ecological effects of heat generation and electromagnetic radiation from transmission cables are not fully understood. Maps and inventories of existing habitats exist but are largely incomplete. Habitats such as sand, hard bottom, and both natural and artificial reefs have to be identified and mapped. Data on the distribution and abundance of associated invertebrate, shellfish, and finfish communities is lacking and needs to be documented. These communities include benthic, demersal, and pelagic species. Inclusion of essential fish habitats (EFHs) and marine protected areas (MPAs) on maps and inventories is necessary. Mapping of critical habitats, including wetlands, shellfish beds, protected areas, uplands, and land use and change are essential. The potential for sea level rise impacts on the wind power facility’s location should be considered. Habitat locations may shift into areas already used by wind facilities and their power distribution system. Cable termini and transmission corridors should not pass through or cross salt marsh, submerged aquatic vegetation, or shellfish areas. Rather, directional drilling should be used to route all cables below these habitats. The temporal and spatial distribution, abundance, movement and habitat use of protected marine species must be considered. Protected species include marine mammals, sea turtles, some fishes, and other species of concern. Increased vessel traffic to and from a wind facility along with rerouting of existing vessel traffic increases the potential for ship strikes. An integrated set of techniques should be used to monitor protected species: passive acoustic monitoring, aerial surveys, and shipboard observers. Passive acoustic monitoring is effective for large areas and species such as the right whale. Large wind facilities should be sited and configured to minimize encounters with marine mammals, migrating fish, and sea turtles. When data are limited, wind facilities that are mostly oriented parallel to the migration routes appear preferable to wind facilities with mostly perpendicular orientations. If sea turtle nesting beaches are nearby, the orientation with least impacts to migrating routes may be difficult to discern. Bird distribution, movement, abundance, and behavior near offshore wind facility locations should be evaluated. Migratory flyway locations and flight height must be considered. Species of concern are shorebirds, migratory seabirds, sea ducks, and passerines; some of which are threatened or endangered. Turbine installation creates a variety of loud noises which can cause injuries such as permanent or temporary hearing loss, barotraumas, and behavioral changes to communication, predation, predator avoidance, and navigation. The National Oceanic and Atmospheric Administration (NOAA) Fisheries Service uses conservative sound pressure thresholds while comprehensive guidance on sound characteristics are being developed. The interim guidelines are available at www.nwr.noaa.gov/Marine-Mammals/MM-sound-thrshld.cfm. Sound intensity is affected by pile size and material, water depth, sediment type, and bottom topography. Vibratory hammers, drilled shaft, and press-in piling are preferred methods of pile installation. Impact pile driving should be avoided when possible. If used, it should be coupled with mitigation measures such as soft-starts, shut-downs, pile caps, bubble curtains, cushion blocks, and coffer dams. Alternate turbine support systems, such as pads buried into the sediment, can reduce noise. Transmission cables that connect turbines to transformers, substations, and other turbines produce heat and electromagnetic fields that fish such as sharks and sea turtles may be able to detect. Buried cables will have less of an impact from emitted electromagnetic fields and heat than surface cables. European wind facilities install either a three-conductor AC cable system or a two-conductor bipolar DC transmission system to reduce electromagnetic fields. For environmental and safety reasons, transmission cables are often buried several feet under the seabed. Burial of cables reduces heating of the seafloor and protects the cables from bottom trawl nets and anchors, European standards require cables to be buried at least one meter deep; sometimes cables are buried up to 15 feet. Six feet is recommended. Cable depth and seabed characteristics, hard rock versus sand, are important factors in deciding whether to use hydro-plowing or dredging to bury cables. A hydro-plow is a series of high pressure nozzles that are directed downward and backward. 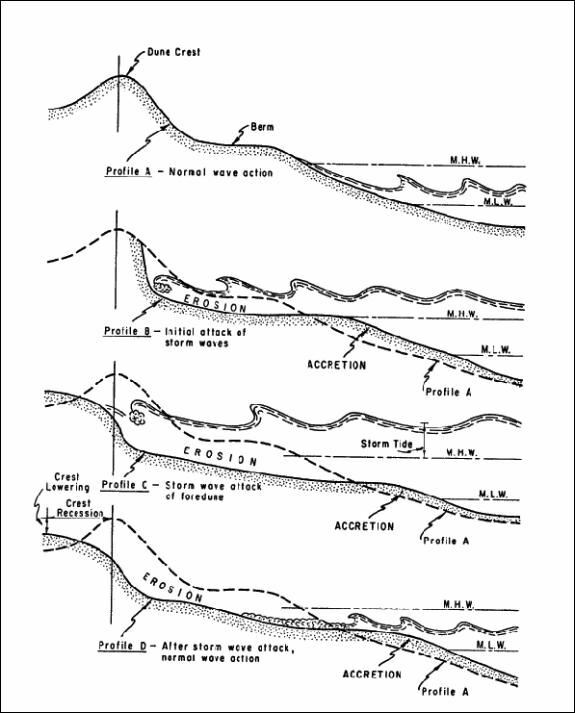 The downward and backward flow re-suspends sediments (fluidizing) within the trench. The cable can then settle into the trench under its own weight. Hydro-plowing is often the preferred method of cable installation by state and federal regulatory agencies. Environmental impacts caused by turbine operation are not fully understood and requires further research. Potential sources of impact are from operational noise, vibration, and discharges of coolants or lubricants during maintenance of cables, turbines, and transformers. Submerged aquatic vegetation (SAV) describes all rooted plants that grow in our fresh and marine waters. SAV is rooted into the bottom sediments and, for the most part, is found underneath the water. SAV occurs on rocky to soft bottom habitats from intertidal areas to depths of 40 meters (120 feet) in all U.S. coastal states except for Georgia and South Carolina where, high turbidity and tidal amplitude inhibit growth. SAV is found either as beds of continuous cover or in patches, both of which provide vital habitat and ecological functions. SAV beds change location over time. Often coverage changes from year to year, which is why regular monitoring and mapping is critical. There are many different kinds of SAV along the Atlantic coast, depending on the local water conditions. SAV includes the common eelgrass found along our coasts from Maine to North Carolina, as well as the turtle and manatee grasses typically found in Florida. Widgeon grass is SAV that occurs in many states from fresh water to high salinity areas. In total, SAV includes six species of marine seagrasses and 20-30 other plant species found in tidal freshwater and low salinity areas along our coasts. Winter flounder in SAV. Photo credit: Chris Pickerel, Cornell Cooperative Extension. Why do fish need SAV? SAV plays a vital role in the life histories of many fish, including some of our most valuable commercial and recreational fish species such as striped bass, bluefish, black sea bass, and tautog. SAV provides food and shelter for both fish and their prey. SAV cycles oxygen and nutrients through the system. Decaying SAV creates detritus, essential food for other organisms in the ocean food web on which fish depend. What does SAV need to thrive in our waters? SAV needs sufficient sunlight to grow. That is why SAV grows in clear, shallow water. Excess nutrients promoting algal growth, increased sedimentation, or shading can all prevent SAV from getting the needed amount of light. SAV is found in more protected areas. Areas with too much turbidity or tidal flux are not suitable for SAV. SAV needs the proper amount of nutrients. Excessive nutrients are not beneficial to these plants and can destroy vegetation. Currently, SAV areas along the Atlantic coast are declining. This is a result of many different stressors, including navigational dredging, filling, and reduced water clarify due to developmental and agricultural runoff. Nutrient pollution, shading from docks, and coastal construction also greatly impact SAV. In recent years, climate change has begun to affect SAV, and it is expected to have a growing impact on SAV abundance and distribution as changes in water temperature, salinity, and depth intensify. Fishing effort and boating can also have harmful impacts on SAV. Impacts to SAV from fishing gear are primarily due to mechanical damage from bottom-disturbing fish harvesting techniques. There are many ways SAV can be damaged, including leaf shearing, crushing, uprooting, and burial. Towed fishing gears such as shellfish dredges and otter trawls have been documented to shear the leaves and cause root damage. Fixed fishing gear may also cause damage if the gear is set in the same place for a long period of time. There has also been a recent, significant increase in shellfish aquaculture in shallow coastal waters, often overlapping with areas containing SAV. The aquaculture operations alter the nutritional contents of those waters and shade the sediment below, thereby preventing the SAV from receiving the light and appropriate nutrients needed to grow. Prop scarring and increased turbidity caused by boats going through SAV. Photo credit: FL FWCC. Both boats and jet skis operating in shallow water can impact SAV. Propellers and anchoring chains can directly damage SAV by shearing the leaves or digging up the plants. Wakes from boats can increase turbidity in shallow waters. Additionally, discharge of waste from boats degrades water quality, which in turn impacts SAV. There has also been a recent boom in the installation of new boat mooring areas, which increases sediment and pollution in the water, both of which limit SAV growth. These mooring areas, once built, also increase shading and prevent SAV from getting sufficient sunlight. 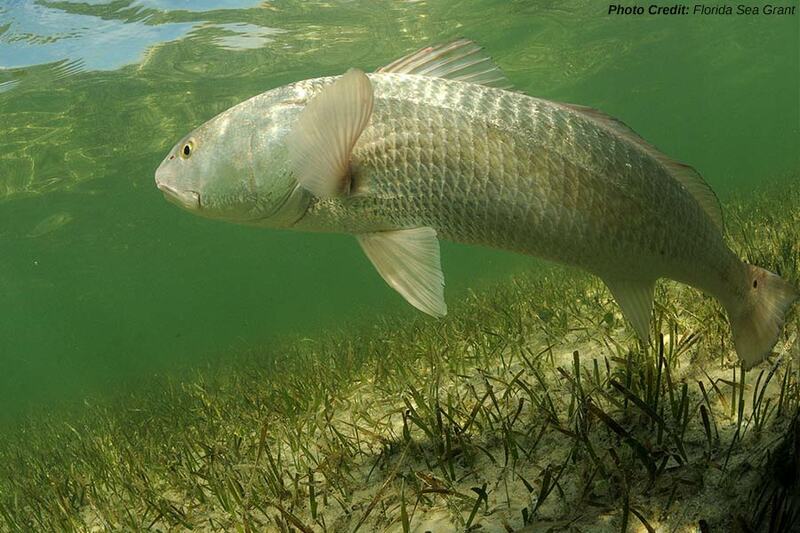 What can fishermen and boaters do to protect SAV? Educate yourself about where SAV beds are located. Maps outlining SAV areas may be available from state coastal zone and fishery agencies, and sometimes from local towns. Wherever possible, steer clear of SAV beds when in a boat. If you are around SAV beds, go slowly to avoid stirring up sediments. Be aware of low tide and stay in designated channels. In SAV beds, avoid using gear that can uproot SAV. Always use pump out stations to get rid of waste. Don’t discharge waste into the water. Inform others about the importance of SAV to our fishery resources and explain how they can help protect it. Support and participate in activities such as marking SAV beds, replanting SAV, and mapping SAV beds. What is the ASMFC doing to Protect SAV? Diverse regional management strategies and human activities have reduced local and regional SAV abundance and resulted in impacts to fisheries. Recognizing these threats and the important role of SAV in the life history of many Commission-managed species, ASMFC adopted an SAV Policy in 1997. The Policy was intended to provide guidance in the protection and enhancement of SAV by state, federal, local, and cooperative programs that influence and regulate fish habitat. It established recommendations for protection and conservation of SAV by emphasizing assessment of SAV resources, protection of existing SAV, SAV restoration, public education, and scientific research. The SAV Policy was updated in 2018 to reflect developments in scientific research and management issues, especially those issues that have emerged during the 20 years since publication of the original policy. The Policy maintains the goals of the 1997 SAV Policy and emphasizes the importance of protecting this habitat in the face of continued and emerging threats. The updated policy is published as Submerged Aquatic Vegetation Policy: A Review of Past Accomplishments and Emerging Research and Management Issues (2018). As directed in the 1997 SAV Policy, the Commission developed a document titled Evaluate Fishing Gear Impacts to Submerged Aquatic Vegetation and Determining Mitigation Strategies (July 2000). ASMFC has also developed a brochure about what boaters and fishermen can do to protect SAV. Finally, many of the Atlantic coast states have compiled SAV reports. These State SAV Conservation Plans consist of five main components: (1) public education, (2) identification of SAV areas, (3) identification of gear within the state that interacts with SAV, (4) the steps that are being taken to address interactions of this gear with the identified SAV areas, and (5) recommendations for ASMFC. For each component (except the final one), the states identify what their state is presently doing and how they intend to improve over the next three years, if improvement is needed. The following states have submitted plans: Rhode Island, New York, New Jersey, Maryland, North Carolina, and Florida. In 2007, the Commission published “The Importance of Habitat Created by Molluscan Shellfish to Managed Species along the Atlantic Coast of the United States," by Dr. Loren D. Coen and Dr. Raymond E. Grizzle, #8 in the ASMFC Habitat Management Series. Following is an excerpt from that publication. Along the Atlantic coast of the continental United States, shellfish habitats occur in estuaries, nearshore coastal waters, and offshore on the continental shelf, and provide numerous ecological services to these systems. Both bivalve and gastropod molluscs form these types of shellfish habitats. Two hinged ‘valves’ or ‘shells’ characterize bivalve shellfish (e.g., clams, mussels, and oysters). Gastropods (or snails) are sometimes called ‘univalves’ because they have a single, typically coiled shell. For both bivalves and gastropods, the shell structure, which functions as an exoskeleton, is composed of a matrix of calcium carbonate and organic materials and is secreted by the underlying soft mantle tissue. Many shellfish species are consumed by finfish or other vertebrate and invertebrate predators (e.g., mammals, birds, finfish, other molluscs). Some shellfish support major commercial and recreational fisheries, and a subset create important habitats, particularly when they occur at high densities. The habitats created by molluscs can be classified into four major types: (1) reefs (veneer of living and dead animals), (2) aggregations (living and dead), (3) shell (dead) accumulations (often called ‘shell hash’), and (4) marine shellfish aquaculture. Some habitats can be grouped into either category 2 or 3, depending on the relative abundance of dead shell versus live organisms. The eastern oyster (Crassostrea virginica) and blue mussels (Mytilus spp.) are two major examples of reef-forming shellfish that occur along the Atlantic coast (Sellers and Stanley 1984; Burrell 1986). Before mechanized harvesting techniques were used, subtidal oyster reefs in some estuaries probably extended as much as several meters above the bottom, forming complex three-dimensional structures that provided habitat for finfish and invertebrates. Today, subtidal oyster reefs rarely extend more than a few decimeters above the bottom; nonetheless, they provide important habitat for economically and ecologically important species. Artificially enhanced oyster grounds can create extensive acres of “planted” beds, either with cultch for spat collection or the transfer of variously aged oysters for grow out. Other shellfish that cement together to form reef-like structures can be found in a family of gastropods known as the Vermetidae. Alternatively, the sea scallop (Placopecten magellanicus) is an example of a species that does not form reefs, but often occurs in aggregations of adequate density to provide habitat for other species. A third type of shellfish habitat is formed by ocean quahog (Arctica islandica), surf clam (Spisula solidissima), and other abundant bivalves (e.g., Mercenaria spp. and Mya arenaria), whose shells can persist long after the inhabiting organism has perished. Sometimes abandoned shells accumulate on the seabed of the continental shelf in sufficient quantities to provide significant structure and habitat for a variety of organisms. During a lobster research study on post-larval habitats, divers on the shoals off of northern Long Island reported concentrations of Spisula sp. shell accumulations (more than 20 cm in depth) along the slopes, providing habitat for juvenile lobster, crabs, and benthic fishes. These four types of shellfish environments combine to provide significant amounts of habitat, particularly for juveniles of many fish species. The four types of shellfish habitats (reefs, aggregations, shell accumulations, and cultured ground) show great variation in physical characteristics and their relationship to managed species. 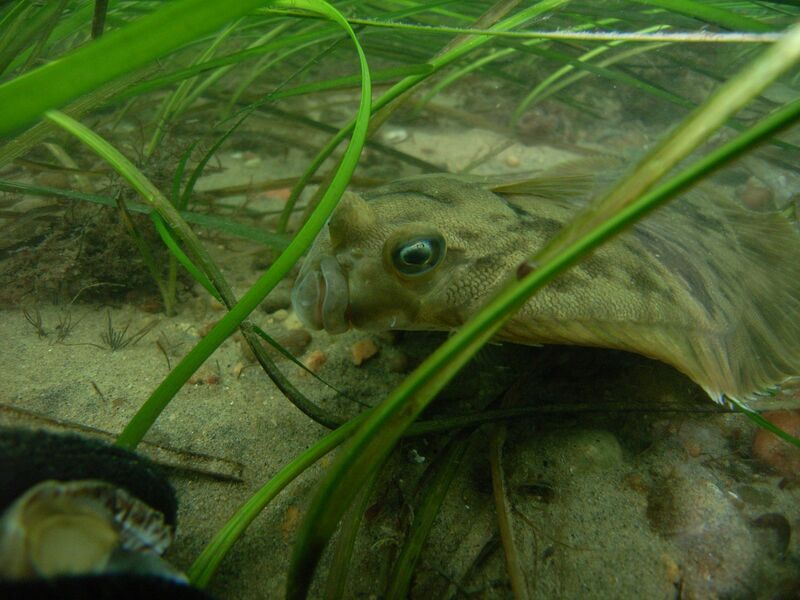 Although there is rich literature (published and unpublished) that demonstrates the importance of all four habitat types to ASMFC-managed species, other structure-forming organisms, such as seagrasses, have garnered much of the attention of management agencies. In part, this is due to the almost exclusive management perspective of shellfish as a food resource for humans. Recently, however, the broader ecological value of shellfish has begun to gain more universal recognition. The result has been an ongoing expansion of the focus of shellfish research and management. Therefore, in addition to an examination of the direct relation of shellfish habitat to managed species, this document also deals with the broader ecological context of shellfish habitat, because management decisions often require that type of information. Worth noting here are recent papers generated from work supported by the National Center for Ecological Analysis and Synthesis (NCEAS at UCSB) on important nearshore habitats, which suggest that our understanding of these habitats as nursery areas is still far from complete. Intertidal and/or subtidal habitat generated by living molluscan shellfish and/or dead associated shell in continuous or discrete beds, including, but not limited to, bivalve habitats, such as oyster reefs and mussel beds, forming three-dimensionally complex structure in an otherwise two-dimensional environment (e.g., within soft sediment, rocky shores, or rubble). Shellfish habitat—whether it is a living assemblage or an accumulation of dead shells—provides hard substrate for the attachment of many species that would not be present in areas consisting only, or mainly, of soft sediments. The overall ecological result is greatly enhanced biodiversity in shellfish habitat compared to surrounding areas of the seabed. For example, in his classic study on eastern oyster reefs, Wells (1961) found over 300 species of invertebrates that were largely restricted to the reef structure or other hard-bottom habitats, and thus did not typically occur in adjacent non-reef habitat. Shellfish habitat is also characterized by a greater amount of vertical relief in comparison to the surrounding seabed. This enhanced vertical relief is of major importance, with implications for assessing habitat value for managed species and for development of management policy. For example, an oyster or mussel reef protruding only several centimeters above the bottom represents, in terms of fluid mechanics, a “roughness element.” Roughness elements substantially affect water flow, which creates larger zones of turbulence, and alters hydrodynamics and material transport. Changes in these physical processes directly influence recruitment, growth, and other biotic processes of the shellfish and other organisms (e.g., finfish) that live on the reef. Therefore, policy development should include a consideration of the impacts of fishing and other regulated activities on structural components of shellfish habitat. In 2010, the Commission published, Living Shorelines: Impacts of Erosion Control Strategies on Coastal Habitats, in the ASMFC Habitat Management Series. The following is the introduction to this edition of the Series. Wave action, shoreline erosion, and the mixing of saline and fresh waters are a few of the physical processes in estuaries and coastal zones that help create and maintain diverse habitat for resident and transient marine species. Human activities can alter these processes, and ultimately deteriorate the quality and quantity of habitat available for use by associated organisms. Estuaries and shallow ocean waters provide critical habitat for either entire life cycles or specific life history stages of an extensive and diverse set of species, including important commercial and recreational fish species. Therefore, fisheries and wildlife managers must understand the impacts on habitat when human activity alters the natural processes that create and maintain coastal and estuarine shorelines. One change to critical fish habitat common along the Atlantic coast is the alteration of shoreline erosion patterns. Shoreline erosion is the natural, ongoing process in coastal areas in which sediment moves away from one part of the shore and is transported elsewhere. As this natural course progresses, some beaches or shorelines migrate landward, with the eroded sediment either accreting elsewhere or being lost (deposited) to deeper waters. 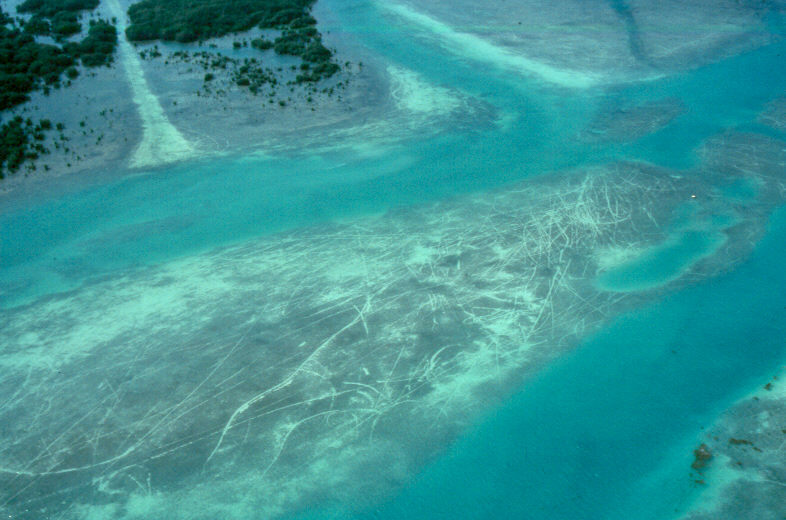 Human activities such as boat traffic and alterations to sediment drift patterns can exacerbate natural erosion rates. Because humans now use large portions of our shorelines for housing, fishing, or other recreational and commercial activities, this natural loss of shoreline is seen as a detriment. Long-term, or passive, erosion is caused by wave action moving sediment within the coastal system. Waves generally approach the shoreline at an angle, transporting sediment in the direction of breaking waves. Fine grained materials are often deposited in deeper adjacent waters. Erosion results when there is an insufficient supply of new sediment to replenish the material removed by wave action. Sea level rise and wave action are the predominant long-term, passive processes that drive shoreline erosion. When sea levels become elevated, river systems are inundated with water, taking sediment from the shoreline as the water recedes. The rate of erosion is gradual, although it can be alarming to owners of structures sited close to the water. Short-term, or active, erosion is driven by high-energy storms and large waves (Figure 1). Hurricanes and strong northeast storms can quickly erode and reshape coastlines. These storms produce a short-term elevation of the water level, orstorm surge, and strong powerful waves. During such storms, powerful waves break aggressively on the shoreline, eroding and moving more sediment than a typical wave. Resource managers must work to meet the sometimes divergent goals of maintaining quality habitat and preserving private property and public infrastructure. In smaller beach areas, or areas with housing or development, landowners and land managers often want to mitigate the erosion so that there is no net loss in land or beach area. Private property owners are particularly interested in maintaining beaches to protect their land and housing. Landowners deal with erosion using regulatory and structural tools. Landowners actually change shoreline erosion patterns by adding structures to the shoreline that reduce the amount of material lost. Structural techniques, also known as shoreline hardening, use a variety of man-made hard structures to alter the patterns of erosion and deposition of sediment. These structures, aimed at reducing erosion in one location, can actually contribute to erosion problems down-drift, or immediately in front of the structure. However, private landowners generally prefer structural techniques to non-structural alternatives because they are immediately effective at reducing erosion. Aesthetically, landowners sometimes prefer the neat, symmetric look of structures such as bulkheads. 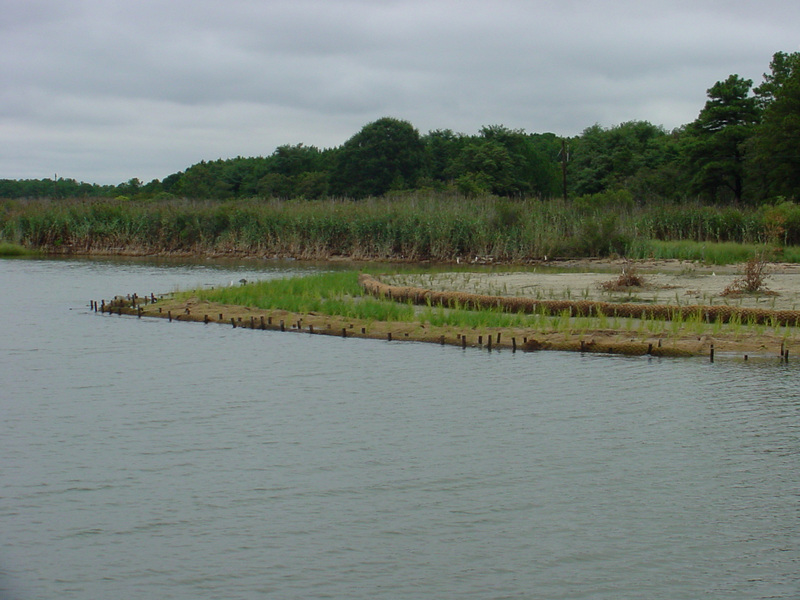 Figure 2: Living shoreline stabilized using sand fill and dredge material, coir fiber logs, wetland plants, submerged aquatic vegetation, an oyster reef breakwater, and fish habitat structures at Horsehead Wetlands, Chesapeake Bay, Maryland. Photo credit: NOAA. Living shorelines, or soft shorelines, are an approach to shoreline stabilization that preserves natural sand edge or vegetated shoreline (Figure 2). In general, the living shoreline approach is most suitable for low to moderate wave energy climates. Many living shorelines projects attempt to retain natural characteristics of valuable coastal habitat while reducing shoreline erosion. Sometimes living shorelines are used in conjunction with hard structures that lessen the rate of erosion while also restoring or preserving aspects of the system’s natural state. The term living shoreline was coined to describe the preferred condition of the shoreline, wherein the shoreline provides living space for coastal and estuarine organisms, such as beach, marsh, submerged aquatic vegetation (SAV), or oyster reef. Living shorelines are becoming an increasingly popular management strategy along the Atlantic coast. In addition to controlling erosion, living shorelines create environmentally desirable features including habitat and vegetated buffers that improve water quality and reduce the effects of upland runoff. Unlike traditional bulkhead or revetment approaches to shoreline protection, living shorelines also tend to dissipate rather than reflect wave energy. Property owners and local governments face difficult choices as they select cost-effective and environmentally sound strategies for dealing with shoreline erosion. Historically, shoreline erosion has been approached in a haphazard manner without a basic understanding of how the physical environment, man-made constructions, and land-use patterns influence one another. In response to growing evidence of problems associated with traditional shoreline erosion control measures, many coastal states have started to encourage property owners to incorporate more natural forms of erosion control into their management strategies. If habitat is considered in the planning process, a shoreline management plan can provide both effective erosion control and habitat protection. 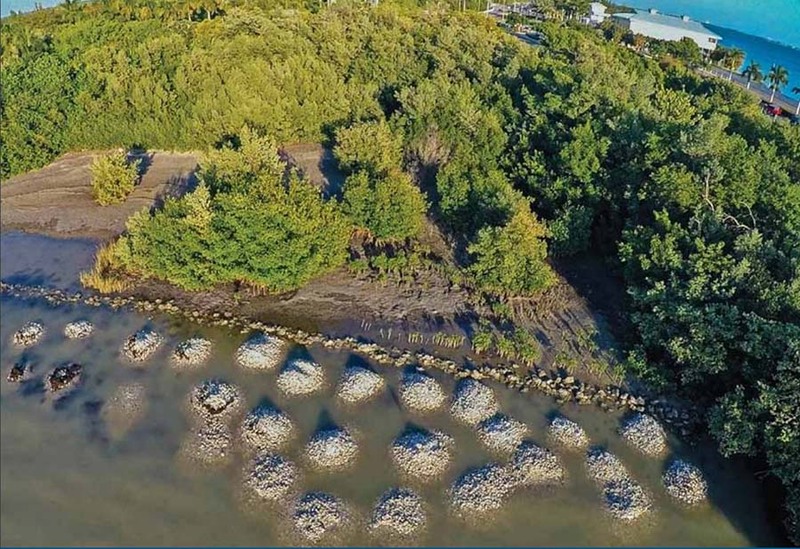 The Living Shorelines document also provides a brief overview of traditional erosion control methods, living shorelines, and the types of habitats that may be considered when creating these areas. It also discusses the impacts of some shoreline erosion control measures on the environment, and examples of how various regulatory authorities are involved. The purpose of this report is to provide resource managers and the general public with a concise comparative discussion of the benefits of living shorelines, and a case study of successful projects to use for reference within their own programs.